Ryan Lezzer’s 187 yards receiving is the 5th-highest single-game total in school history. The school record is Brian Kaspick’s 217 during the 1999 season. Lezzer’s 3 touchdown receptions match the total he had last year during his freshman season. Cody Spaid’s 260 yards passing marked the 29th time a Bison has thrown for at least 250 yards in a game. Spaid’s yardage is tied for 23rd on the list with Tanner Kelly’s 260 yards versus Bradford in the 2003 season opener. Kelly threw for 591 yards in two games versus the Owls that year. Spencer Herrington extended his own school record with his 8th career made field goal. His extra point on Clearfield’s first touchdown made him the first kicker in school history to score 200 points. He now has 205 career points scored. Clearfield’s 37 yards rushing is its lowest output since being held to 18 yards against St. Marys in the 2007 district playoffs. Prior to Friday’s game against Keyser, the Bison had been held to under 100 yards rushing only once since the start of the 2010 season (53 games). The Bison’s 28 passing attempts are the team’s most since throwing 30 passes against P-O in 2011. Friday was the first time Clearfield had ever lost to an out-of-state opponent (3-1). The Bison had previously gone 2-0 against St. Joan of Arc (2012, 2013) and 1-0 against Riverdale Baptist (1996). The Bison will look for their first win of the 2014 season next week at Penns Valley (0-1). The Rams fell to Juniata on Friday, 29-16. Take these previews for what they are: statistics-based calculations to predict each team’s season. For a more detailed preview, be sure to check out The Progress this week. Allentown Central Catholic is the most distant opponent Clearfield has ever played in a game not held in Clearfield. Erie East is the furthest away team the Bison have ever played in a true road game. The location for Blythe Township is approximate because the high school there closed in the late 1950s and is now a part of Pottsville Area School District. As always, remember to check http://www.clearfieldfootball.org for more team information. Also follow this site on Twitter at @BisonFBStats and the new Facebook page. This site has been pretty quiet for the past few months, but that doesn’t mean that there’s nothing going on behind the scenes. I’ve been continuing to research and collect as much information as I can find and I think that most people will like the long-term projects that I have in mind. However, most of these will take several months and won’t be ready until sometime during the next offseason. With the 2014 opener at Keyser (WV) just 11 days away, I want to reach out and ask you to give me recommendations, requests, etc. for what you’d like to see here on a weekly basis. I plan on running features on former players – similar to March’s post on Vic Jones – as part of the weekly preview for each game this year, at least for the first 6-8 weeks. I’d still appreciate any and all feedback in the comments section below this post. I have a lot of things I want to do with this site, but I also want to get as much input as possible from the people who visit it as well. 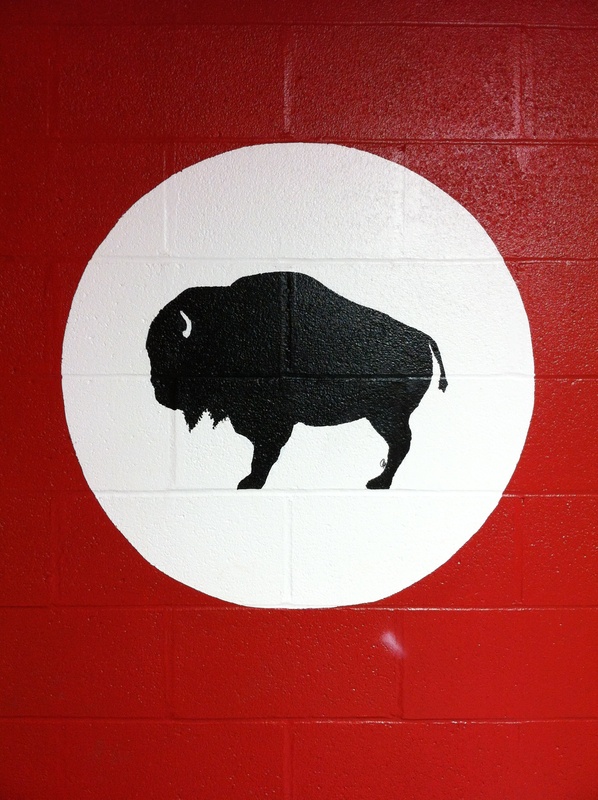 One final thing – be sure to follow this site on Twitter (@BisonFBStats) and the new Clearfield Football Facebook page (https://www.facebook.com/clearfieldbisonfootball). As always, thanks for stopping by. This site should hit 5,000 views sometime this season – I never thought it would get half that amount of attention.